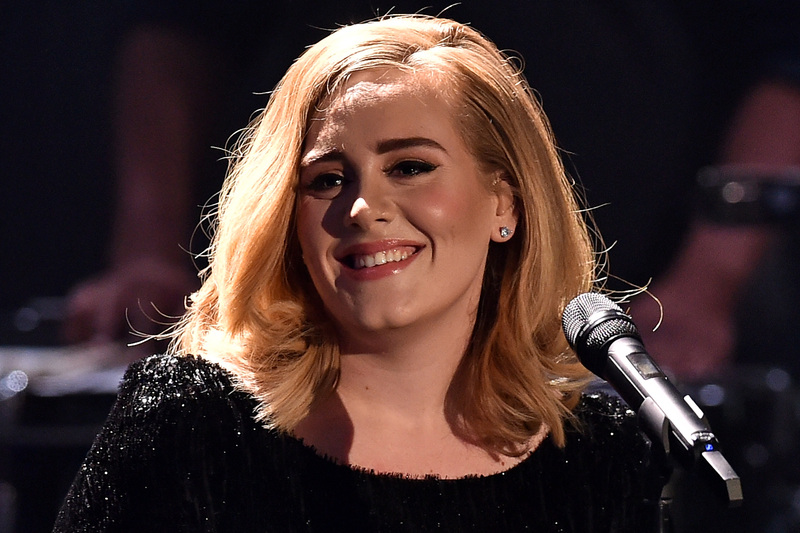 Let's Put Adele's 7 Million Albums Sold Before 2016 Into Perspective, Shall We? Hello, it's me, letting you know that Adele sold 7 million copies of 25. Oh, and she managed to do so in just five weeks since her third album dropped on November 20. While the holiday season certainly helped — a lot of people definitely got Adele in their stocking this year — these numbers are still a bit hard to wrap one's head around. Her seven million records sold is over three times the amount of people who live in the city of Paris. It's that much. According to Billboard, Adele sold slightly more than a million copies of her latest record in the week ending December 24 — 1.16 million, to be exact —which means she's managed to sell a million copies in three different weeks. She's the first album since Nielsen Soundscan began tracking sales in 1991 to "earn multiple million-plus sales weeks." These numbers also mean Adele's 25 is the biggest-selling album released in the U.S. since well, Adele’s last album, 21, which was released in 2011. This decade belongs to Adele, clearly. Now of course, we all know Adele has sold a lot of albums, especially in 2015, being that she's broken nearly every record imaginable from most views in 24 hours on Vevo for her "Hello" video to highest first-week American sales of all time, by just selling lots of records. But, let's put this seven million feat, which will happen, if not this week, then the next, into real perspective by comparing her sales numbers to other pop stars of her caliber. Shall we? Swift's 2008 album Fearless just surpassed the seven million mark last week. It's Swift's biggest selling effort to date. Her most recent album 1989, hit five million albums sold this past summer, which at the time, made it the fastest seller to reach that mark in more than a decade, reaching that goal in its 36th week of release. Then Adele came along. Queen Bey let us know that girls run the world and also sell albums all around it. As of this year, her 2008 album I Am... Sasha Fierce has sold over eight million copies worldwide — 3.12 million of those copies were sold in the United States. While her albums Dangerously In Love (2003), B'Day (2006), I Am... Sasha Fierce (2008) have sold more than seven million copies worldwide, she has yet to hit the seven million mark with any of her five albums in the States. In 2013, RiRi surpassed 10 million albums sold in the United States. While this is nothing to sneeze at, this number, which has risen to nearly 12 million sold in 2015, is the total amount sold between her seven albums. Her best selling album is 2007's Good Girl Gone Bad which has sold over 2.8 million copies. She does have one record that Adele couldn't earn this year though: Spotify's Most Streamed Female Artist in 2015. Back in October, Gaga hit the seven million mark, but not in albums sold, in downloads. The singer is the only artist to have two 7-million selling downloads with her songs "Just Dance" and "Poker Face." Adele could one day join this select group though since "Rolling In The Deep" has sold 8.4 million and "Someone Like You" has currently sold six million. Though it may not seem like the obvious choice, Adele's success probably most closely resembles that of Garth Brooks, who, according to the RIAA in 2015, is the best-selling solo album artist of all time with over 135 million albums sold. Six of Brooks' albums — Sevens, No Fences, The Hits, Garth Brooks, Ropin' the Wind and Double Live — have all sold 10 million copies each. Something Adele can now strive for. Jackson's Thriller was released before Nielsen Soundscan started tracking sales, but when it was released in 1982 it set a record for the longest time spent at number one on the Billboard 200 chart by a studio album with 37 weeks. It has far exceeded seven millions copies sold by now, racking up 29 million to date. It is also only one of two albums that have sold the most copies in the U.S. in two separate years. That other album? Adele's 21. Michael Jackson is the King of Pop, but since Adele pretty much is pop's reigning star thanks to her record album sales, we should probably start referring to her as the Queen of Pop, right? It does have a nice ring to it.